I’ve been learning WordPress for quite some time, and literally fell in love with it. I always create wordpress themes in localhost because its much faster and sometimes my internet is so slow, you can imagine the time spend on refreshing the page after some revisions on the theme. 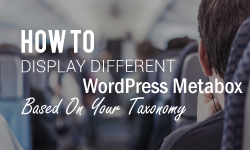 With this option creating a theme is 10x faster, testing a plugin and fooling around with wordpress without worrying about speed, site crash, or broken theme. 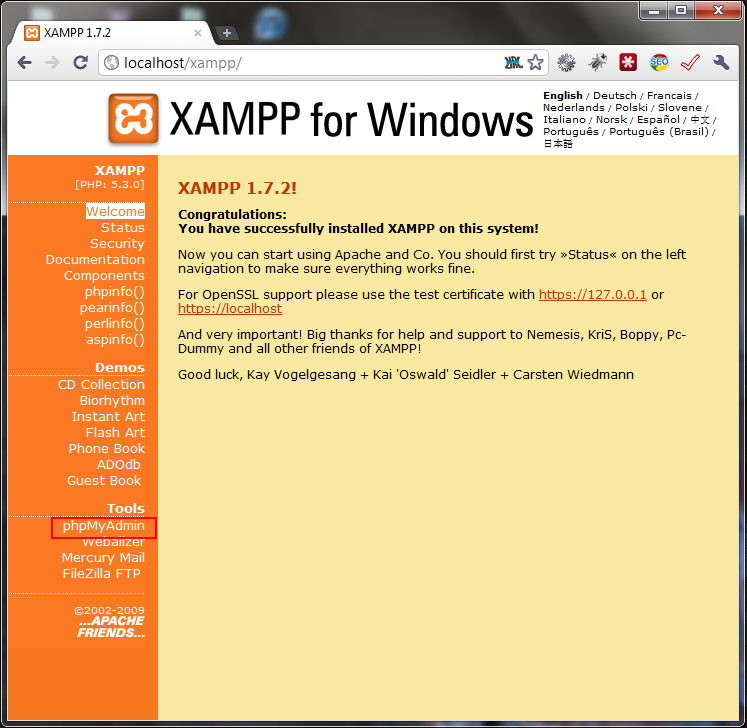 First download XAMPP lite in Apachefriends.org, choose the .exe version. 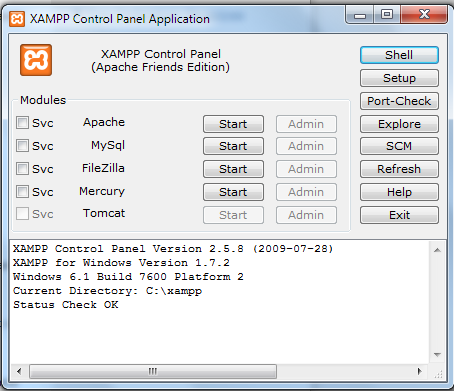 Install that in your c:/ drive, after it’s done double click the xampp-control.exe and choose start apache and mysql services. Now open you browser and type in http://localhost/ from the menu on the left column, choose your language. You can now click on phpMyAdmin on the left column. 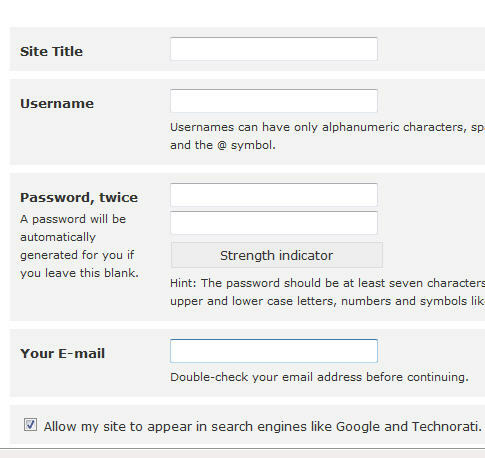 On the database menu, look for create new database enter “wordpress” (without quotes) and click create. 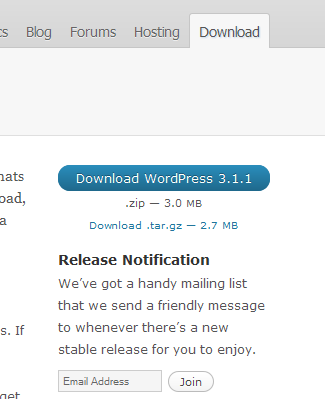 Now download the latest version of wordpress in WordPress.org. And save the file as wp-config.php. Open your browser and type this http://localhost/wordpress/wp-admin/install.php, follow the step by step instruction. WordPress has a 5 minute easy installation, it’s not that hard trust me! 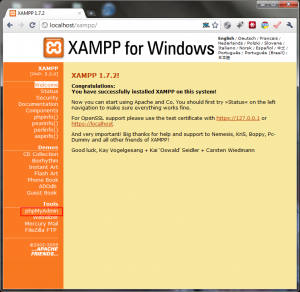 Make sure that XAMPP is running, apache and mysql are checked and you’ve type the right url in the browser address bar (e. i. http://localhost/wordpress/). This is great for designers, users who wanted to test new plugins and themes before using to their own website. 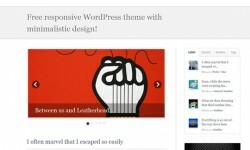 If your like me, I use wordpress multisite option on my localhost for ease of use when creating different themes. But that will be in another post! 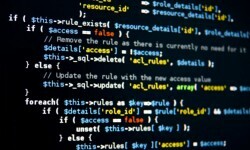 What about you, why do you use wordpress in your localhost? Any other way to speed up the process? Share your thoughts below! Wow install guide that help a lot nice Tutorial you got. Thanks a lot for being my personal tutor on this issue. We enjoyed your article very much and most of all enjoyed how you handled the issues I regarded as controversial. You happen to be always quite kind towards readers like me and help me in my existence. Thank you. Did you put the wordpress folder that you download to c:/htdocs/ folder? If not, you should and try to refresh the browser.